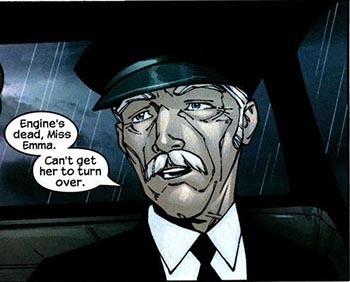 Religion and Characters in Emma Frost #6 (Feb. 2004): "Higher Learning, Conclusion"
Winston tells Emma her recent actions show spine and impress him, even when they disagreed, such as when she photographed he and Vivienne in France. 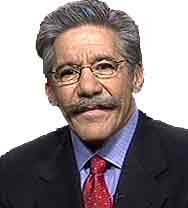 Winston Frost (to Emma Frost): "And did you phone Geraldo while you were at it, Emma?!" Emma Frost found her brother Christian hanging himself. She helped him and called 911 so he did not die. Her father is mad about possible publicity from the 911 call. 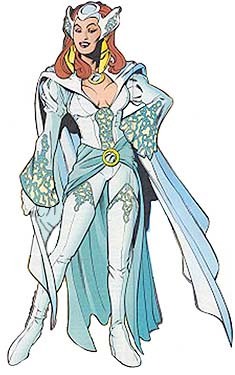 Emma Frost: Higher Learning (Aug. 2004): "Higher Learning, Conclusion"
This story was indexed from secondary sources only. The character list above is not necessarily comprehensive. An alternative form of this story's title is: “Higher Learning, Part 6 of 6”. 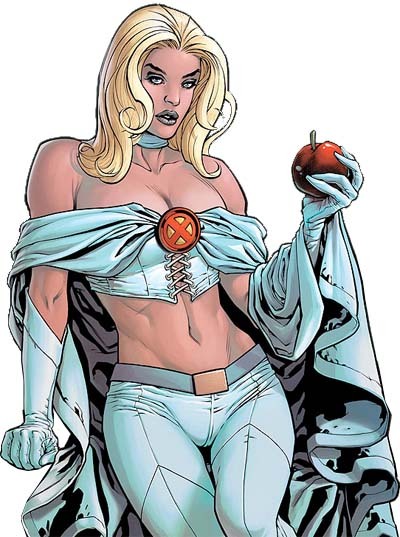 Webpage for Emma Frost #6 (Feb. 2004) created 18 April 2013. Last modified 26 December 2013.